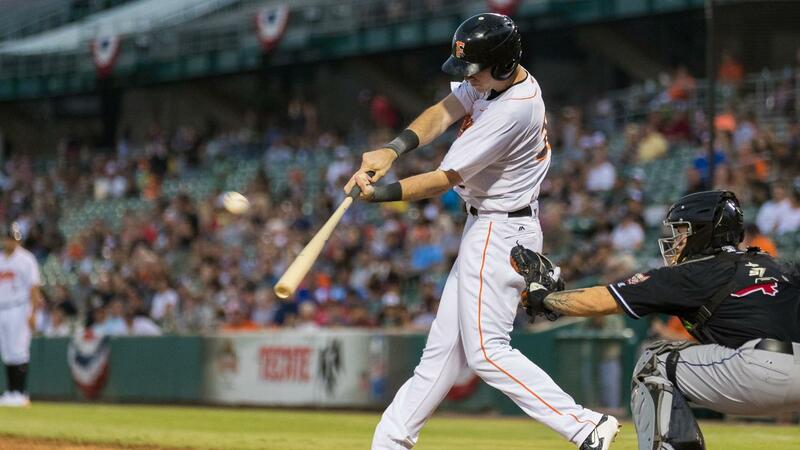 FRESNO, Calif. - By outlasting the El Paso Chihuahuas in the Pacific Conference Championship Series in a full five games, the Fresno Grizzlies have advanced to the PCL Championship Series for the second time in franchise history. Fresno's other trip was successful, rallying to win Games 4 and 5 at home in 2015 against the Round Rock Express to take the title. Beginning on Tuesday, the Grizzlies will host Games 1 and 2 at Chukchansi Park against the Memphis Redbirds (St. Louis Cardinals), champions of the PCL American Conference. Tickets are still available by visiting FresnoGrizzlies.com or the Chukchansi Park ticket office, at regular season pricing, beginning as low as 10 dollars. Games 3-5 (4 & 5 if necessary) will be played in Memphis. Those games can be seen LIVE at the fan watch parties Friday through Sunday, taking place at Dave & Buster's (212 E. River Park Circle). Tuesday, September 11 (Game 1, 7:05 p.m.) - Toyota Taco Tuesday: In a previous press release, we announced August 28 as the final Taco Tuesday of the 2018 season…we lied! All the typical Taco Tuesday deals will be back for Game 1 of the PCL Finals, as the Grizzlies take the next step in their quest for a championship. In addition to 2-for-1 (buy one, get one) Field Box and Club tickets, fans will be able to enjoy $2 tacos from Taco Truck Throwdown-approved trucks and "Oppo Taco" on the right field concourse at Chukchansi Park, $2 sodas and $2 churros (specials good through the fifth inning). Dos Equis | Dos Tacos: Purchase a 24-oz Dos Equis can and receive a voucher for two FREE tacos from one of the trucks. Jersey Auction: The "Taco-uila Sunrise" striped jerseys, worn by the 2018 "Fresno Tacos," will be available for bid during Game 1 in a silent auction on the concourse. Winners will receive their jerseys at the table following the game, and each game-worn artifact will be autographed. Proceeds from the auction will benefit El Mexicano, a long-time friend and partner of the Fresno Grizzlies, and a Taco Truck Throwdown Champion. Their truck was severely damaged in an accident last week. The King: Since we're playing Memphis, Jeremy "Elvis" Pearce will be performing pre-game in front of the Grizzlies Team Store on Tuesday. The best Elvis impersonator you've ever seen is actually a Grizzlies and Tacos fan- and CREAM will be selling their banana and peanut butter ice cream "Elvis Taco." Wednesday, September 12 (Game 2, 7:05 p.m.) - Growlifornia Flag cap giveaway: The first 1,500 fans through the gates will receive a FREE #Growlifornia cap.